Phoenix: The Arizona Department of Insurance is on the lookout for customers who purchased warranty plans from the now out of business company, Sensible Home Warranty (SHW). While the year 2014 saw many major incidents in the home warranty industry, SHW closing was one that garnered significant attention. Reasons behind the closing were not revealed on their website or anywhere else and still remain unknown. While the company did have a substantial number of loyal customers, discontent among some other customers were quite evident from feedback received on HomeWarrantyReviews.com. The company’s BBB page reveals that a total 1,811 complaints were filed against them during their tenure in the industry. Several customers reported on HomeWarrantyReviews.com that SHW had failed repeatedly to process claims and provide them with the services they were entitled too. Such customers and many others who purchased prepaid warranty products from SHW would find this as a welcome relief as it may help them retrieve a part of their money. Following feedback from customers expressing their grief over monetary loss due to SHW shutting down, The Arizona Department of Insurance has announced that they will be making an effort to compensate the losses incurred by SHW customers. Officials say that partial refunds may be available to customers who paid their premiums in advance. The refunds will be funded by the money that SHW deposited with the Dept. of Insurance as required by the state laws of Arizona. The deposited money will be divided among genuine customers who approach the department. To claim the refund, customers must file proof in the form of claim requests and receipts to the Dept. of Insurance by no later than August 2, 2015. Customers are requested to visit the following link and submit an application online along with any other material that support your cause, eg contracts, claims history, receipts from SHW etc. While the Department cannot say in advance what the amount of refund will be, the Department agrees to give due consideration to everyone who approaches with a genuine claim. 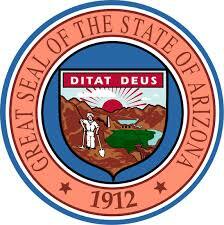 They were not reimbursed with the full amount as per agreed terms and conditions of the Arizona contract.